Beat the Heat and spend the day in the A.C. discovering all of the amazing Mind - Body - Spirit products, services and vendors. Spend one of the longest days of the year with us as we explore Summer Solstice. Grab the family, bring a friend or enjoy some me time at the Valley's leading Holistic, Wellness and Metaphysical Event. Browse our Vendor List and take a look at our Lecture Schedule (8 FREE lectures included with your admission). Located at the Pointe Hilton Squaw Peak Resort 7677 N 16th St, Phoenix AZ, in the Anasazi Ballroom. This is the perfect place to gain insight, learn about new ways to improve your life, find resources to help you grow spiritually & emotionally, discover new and exciting products and services geared toward a healthy Mind - Body - Spirit and inspiration / motivation to continue on your journey. We are passionate about providing you a trusted resource to find word renowned, skilled practitioners, new and innovative services as well as unique and original products. These family friendly events are open to everyone. Whether you are new to this journey of Mind-Body-Spirit growth and discovery, are a long term traveler or just looking to see what is out there to be discovered we are here to help. 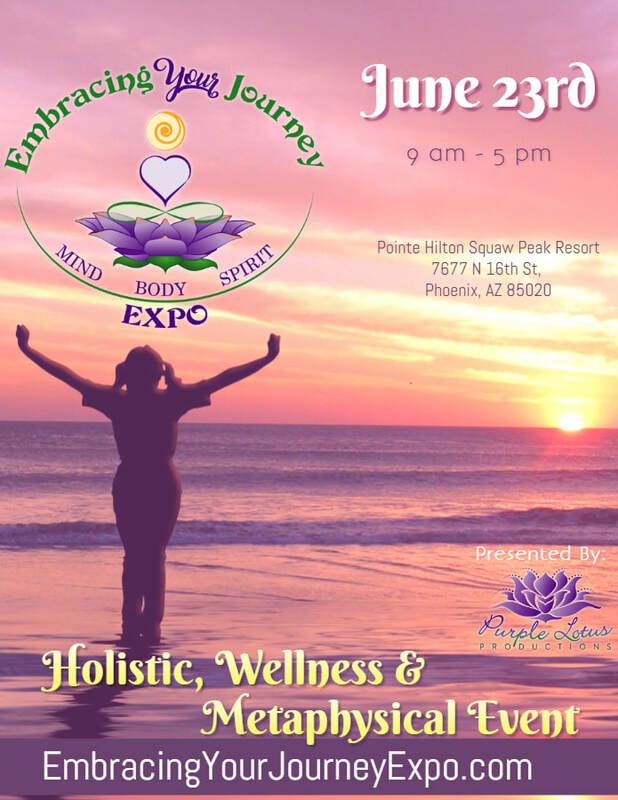 Conveniently located at the Pointe Hilton Squaw Peak Resort, off the 51, the Embracing Your Journey Expo is in the Resort's Main Convention Center to the north of the Resort Lobby. It is a large rust red color building. Expo check in will be located in the Convention Center Lobby. The main Expo hall will be located in the Anasazi Ballroom with lecture rooms adjacent. Parking in front of the Convention Center can be limited and we recommend carpooling and arriving early. Additional parking is available near the onsite restaurant Rico's, around the back of the Convention Center and to the south of the Resort Lobby.